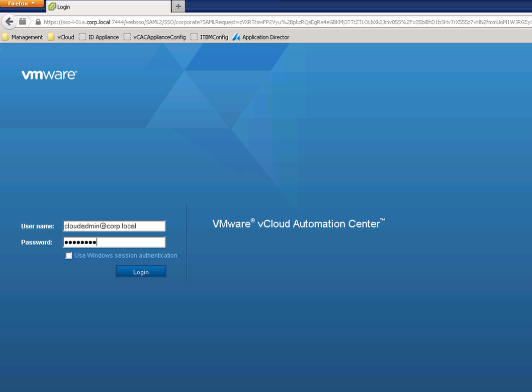 So you got past the initial setup and install of vCAC 6. You have already provisioned several Windows or Linux blue prints and now you want to play with the advanced service designer. But wait? Where is the advanced services tab in vCAC? Humm, you have everything licensed correctly and you are logged in as the administrator that was configured in the tenant configuration. What gives? Well, as I found out there is a bit more to do to configure this functionality. Let’s walk through how to configure the advanced services. 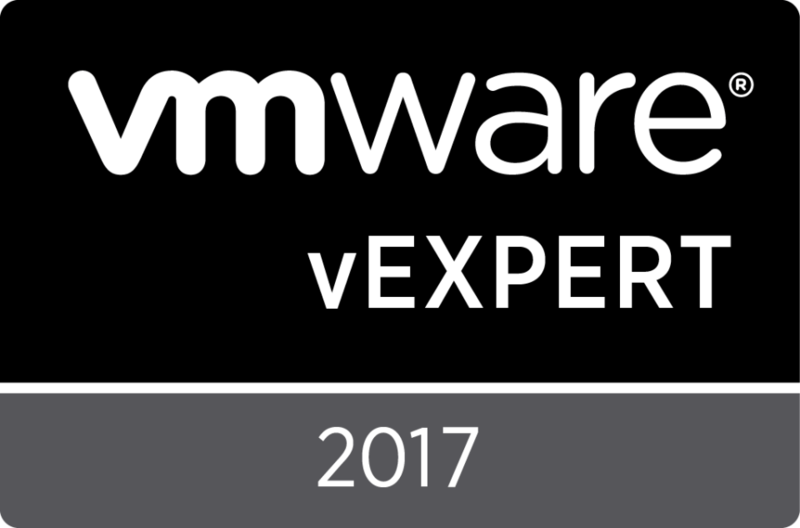 First off, the advanced services and advanced service designer in vCAC 6 leverage vCenter Orchestrator or as we call it “vCO” for short. 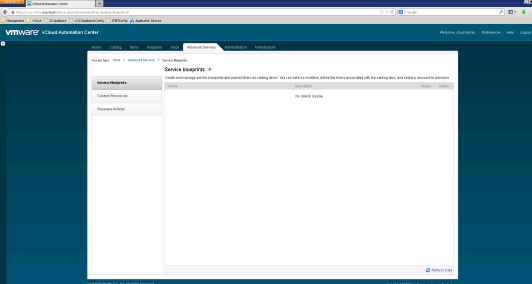 vCenter Orchestrator is shipped with vCAC 6 as an embedded application on the vCAC appliance server however you can also use an existing vCO 5.1 or 5.5 instance. The embedded appliance is already installed for you but we need to do a couple things to configure vCAC to use it. But wait….I still don’t see the Tab for advanced services? You will need to log out and log back in again. Jackpot!! There it is! Was that so hard??? 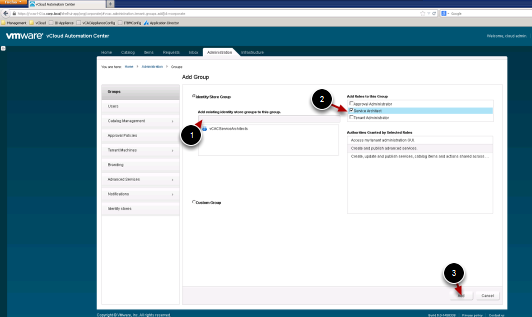 Tune in next week when I show you how to configure a simple Day 2 operation using the new advanced service designer. Bye for now and happy Clouding!! This entry was posted in Advanced Service Designer, Cloud Automation, rookie, vCAC 6, vCO and tagged 6, advanced, configure, designer, how, service, to, vCAC, vCO by Ryan Kelly. Bookmark the permalink. If you get any time to do AD:User and AD:UserGroup fields in a Service Blueprint against active directory endpoints that are bound in an OU that has more than 100 entries, please blog about it. VCAC 6.0.1 ASD is only returning 100 AD objects to us via LDAP (in sub tenant of default). @SeanK, we have the same problem, searches using the AD plugin in ASD blueprints are not working – rarely find the user. Searches using the same plugin natively in vCO work fine. Did you ever resolve this problem?